In anticipation of The Business of Coaching, our three-part workshop series this October, fellow coach Caroline Leon and I are producing some content that will be especially interesting for the coaches in our respective audiences. Here’s a story I created for Instagram that contains a good bunch of details about my daily working routine—a peek behind the curtain for the coaches and non-coaches, alike! Please enjoy and don’t forget to leave a comment or question below. 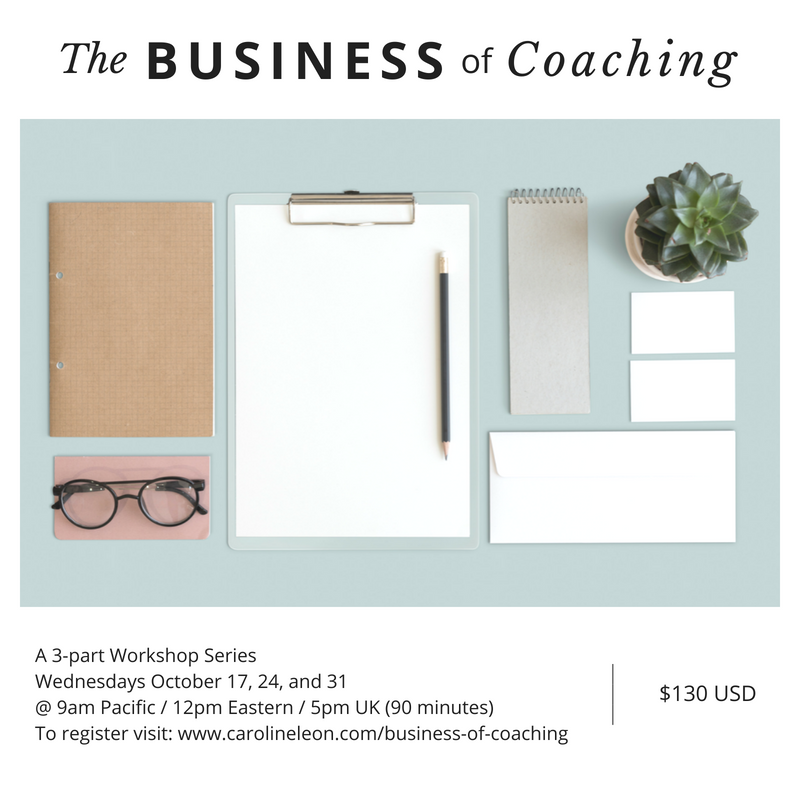 If you’re a fellow coach and you’re trying to figure out how to make money from your coaching skill set, consider joining us for The Business of Coaching next month. If you register before the end of September, you’ll be gifted with a complimentary 90-minute coaching session with me, valued at $300 USD! Are you a fellow coach, one who’s keen to master the art of connection and the building of a robust client roster? Register for the three-part workshop series I’m co-hosting this October with fellow coach, Caroline Leon. To read all about it click here or on the image below.